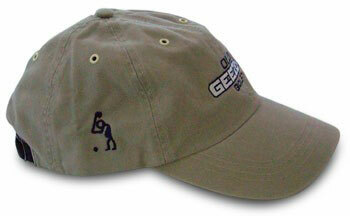 This khaki cap sports the "Old Geezer Golf" logo embroidered on the front with its signature "Geezer Guy" on the side. 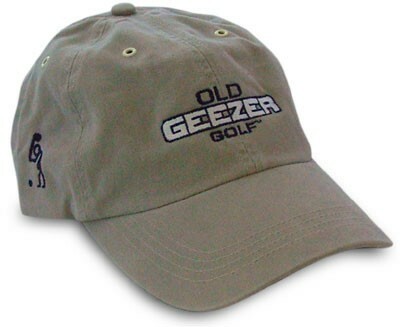 This is a quality 6-panel, unstructured, chino twill cap with metal eyelets. It is made to fit all mellons.